My main hobby outside of work is playing and listening to music. 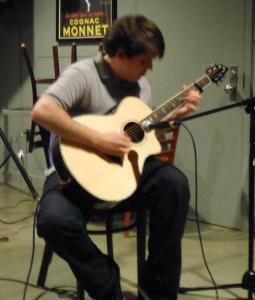 I have been playing all forms of guitar - electric, acoustic, and classical - for many years. My main three inspirations as a guitarist have been Eddie Van Halen (from Van Halen), Alex Lifeson (from Rush), and Andy McKee (solo acoustic). Some of my live performances can be found on YouTube.